MICROBIOTEC brings together the Portuguese Societies of Microbiology and Biotechnology, with around 500 associates. MICROBIOTEC, taking place every two years since 2005, is a unique opportunity to gather experts in Microbiology and Biotechnology, highlighting the interdisciplinary character of both areas. Involving leading researchers in key topics, MICROBIOTEC promotes a dynamic forum of discussion, underlined by the excellence, innovation and impact of the scientific knowledge. Always giving a testimony of the high quality and potential of research conducted in our institutions, the participation of early career researchers is, once more, encouraged and for members of SPM or SPBT there will be attendance grants available. 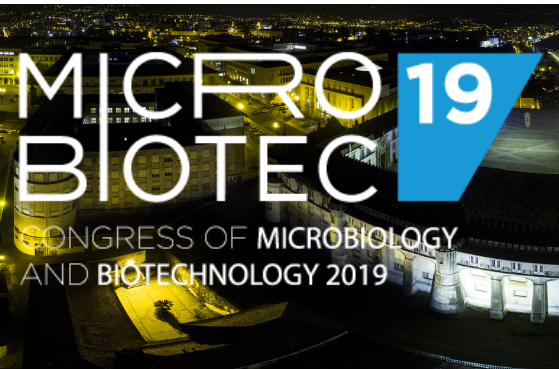 MICROBIOTEC´19 will be held at the charming city of Coimbra. Don’t miss this opportunity to join the biannual meeting of Portuguese Microbiologists and Biotechnologists. We are looking forward to your participation. More information can be found here. Avançar O Dia Internacional do Microorganismo já está nas redes sociais!